is a great herb used to stop excessive bleeding especially from the respiratory system. In the case of the common cold and fever, it causes the body to perspire, thereby eliminating the toxins that are causing the illness. Yarrow is also believed to be a kidney and urinary tract cleanser because of its antiseptic properties. It is also known to give relief from stomach cramps, rheumatism, menstrual cramping, hypertension, flatulence, diarrhea, hemorrhoids, ulcers, gout, arthritis and excessive menstruation. is thought to be the world’s greatest herb. No herbal combination is complete without it because it is a catalyst for all herbs. Capsicum circulates blood to the extremities (hands, head and feet) which makes wounds heal faster. It will stop internal and external bleeding, shock, heart attack, stroke, ulcers, and a host of other maladies. Contrary to popular belief, it is not an irritant, but is a soothing herb. coats and soothes mucous membranes while also absorbing toxins which can cause intestinal imbalance. Slippery Elm is also very effective in soothing sore throats, coughs and respiratory problems such as bronchitis and asthma. It also provides a protective coating for the colon wall. The colon wall is where most of our health troubles begin, because when there is no protection, the waste from the colon leaks directly into the bloodstream. Therefore, Slippery Elm may be referred to as “nature’s acidophilus”.It also serves as an aid to digestion, ulcers, and sensitive stomachs. also known as “curcuma longa”, has been regarded as a purifier by ayurvedic healers. It has been shown by scientific research to help treat digestive and liver problems. Well known for its healing properties, it is used in treating allergy symptoms such as sneezing, runny nose, sinus congestion, headaches, and itchy eyes. It relieves stomach pain, and provides antibacterial and antioxidant protection. Tumeric is used for strengthening the liver, enhancing complexion, and nourishing body tissues. 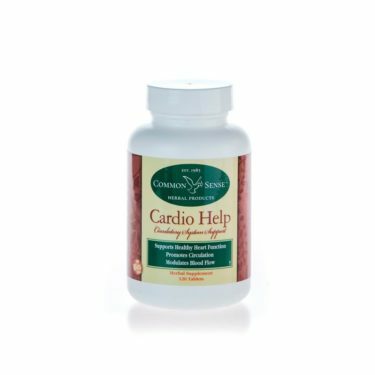 It has also been found to reduce blood-clotting and exhibit hypocholesterolsterolemic activity. Studies conducted between 1971 and 1991 showed Tumeric’s anti-inflammatory action to be more powerful than hydrocortisone. The main phytochemical compound of Turmeric is curcumin, which is a powerful antioxidant that is stronger than Vitamin E and is useful in fighting cancer. Curcumin is used in treating memory loss such as Alzheimer’s disease and Dementia. Tumeric is very useful in treating jaundice, insect stings, wounds, whooping cough, pimples, internal and external injuries. It is also recommended for arthritis, asthma, gastritis, hyperacidity, inflammatory skin conditions, and nausea. compulsive disorders. Rose Hips has been claimed to be useful as a capillary strengthener, and to boost the immune system. It also contains, collagen, Vitamins A, D and E, essential fatty acids, and high levels of antioxidant flavonoids, which are known for their antiviral, anti-inflammatory, and anti-allergenic properties. helps to relax the organ in order to release toxins more efficiently. Catnip is known to naturally ease panic attacks, anxiety, stress and headaches from tension. This herb is very effective for managing stress, as well as alleviates coughing. It opens obstructions of the lungs, and controls shortness of breath. Catnip is good for promoting sleep while relieving digestive issues such as: upset stomach, nausea, gas, and diarrhea. Catnip has a diaphoretic effect (increasing perspiration without raising body temperature) and antipyretic effect (anti-fever). It is especially good for small children and babies. Catnip may prevent miscarriages and premature births. It is an excellent herb for overall liver health, whether you are an adult or a child.